Thank you Sarah! I don't know if I'm ready for the adult world yet, haha! Congrats on completing Uni! Isn't it the best feeling?! Thank you!! It is, but it's also terrifying, haha! Now I have to figure out what to do with my life! Congratulations! So exciting, all the luck to you babe! Aw yay congrats on graduating!! Such a wonderful accomplishment! Congratulations! I think it's totally expected not to blog the week you're graduating college.Sounds like you took advantage of your time with lots of other exciting things. Thank you Erica! I definitely did, even though blogging is a priority for me family definitely comes first! Thanks Kait! That's awesome to hear because I have no idea what's to come! Congratulations! On to the real world! I love your leis. Your graduation looks so festive. Thank you! My roommate gave me the flower lei! Congratulations on graduating! these photos show how happy you are! Well done! Congrats girl!!! I am so proud of you and Im so happy to be following the rest of you journey! I just graduated as well! Congratulations!! Congrats and best luck for your future!!! Ugh so jealous you got to hear Justin speak and meet him- I'm a HUGE Jane fan!! Congratulations on your graduation Sami! Congrats on graduating! Love how happy you look in all of your pictures! omg congrats! That's so exciting! 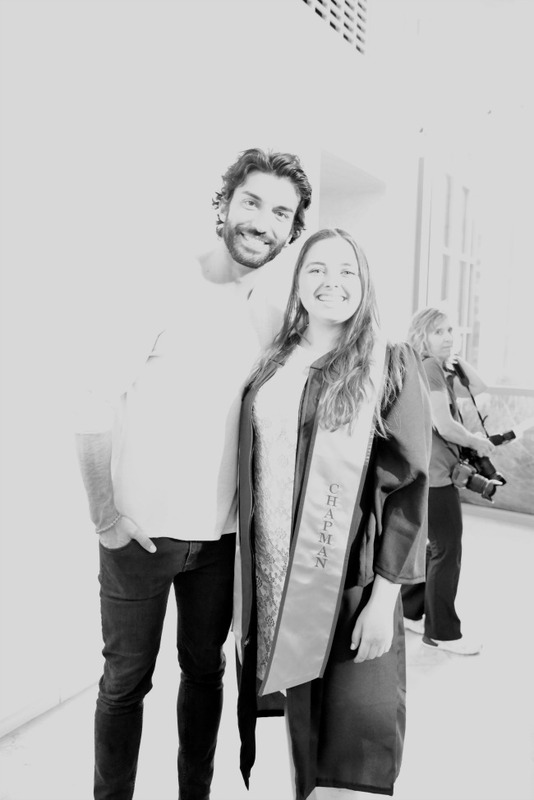 I still can't believe you got to meet Justin Baldoni! And congrats on graduating!! Congratulations, Sami! Sounds like you had a very busy and exciting graduation week! Congrats girl! 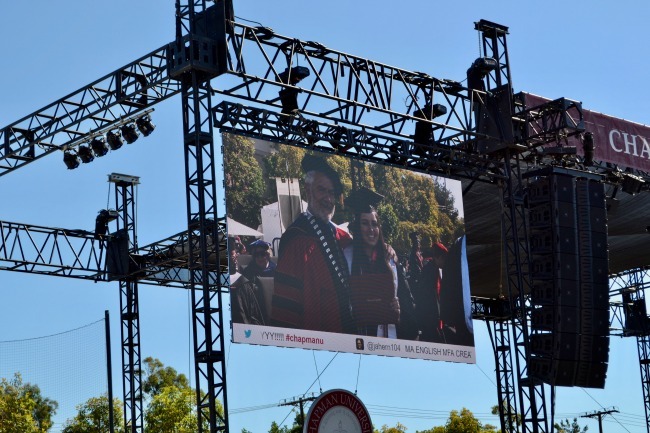 Looks like you had a great graduation week! Congratulations on everything Sami! I'll still read your blog no matter what you post! Aw thank you so much Anna!! :) Same with you, always love your posts! That's so exciting ❤���� Congrats on your huge milestone!! Congratulations on graduation! It is the best feeling ever, right? Getting up an 8am ceremony definitely would have been hard though! Goodness knows I struggled to make my 8am workshops! Haha that 6:30am wake up was pretty rough! But worth it to stay out of the SoCal heat!! Thank you so much Kendel! Congrats girl! :) You looked stunning! Aw thanks so much Samantha!! HOLLAH - congrats on graduation girlie!!! Yay! Congrats on your graduation! Such a great accomplishment! Congrats on making it through college - so exciting! Congrats Sami! Can't wait to see what this next chapter has in store for you!